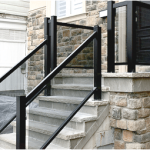 Our aluminum railings will beautify the appearance of your property for years to come. 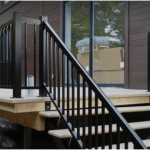 Durable aluminum railings and stairs are a great choice for residential and commercial buildings alike. 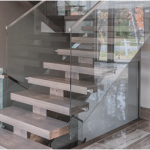 Glass rails make interior staircases safe and transform nondescript stairs into a modern decorative element. Its transparency adds visual lightness and space, while the cultivated aesthetics of the glass railings are guaranteed to make your guests envious. 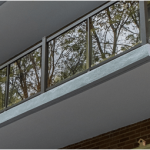 If you are searching for the perfect combination of materials for your balcony, you should be aware of the fact that the railing material will influence your outdoor experience, the way you relax and enjoy the surroundings.